In a virtual world where choice is seemingly limitless, online shopping price comparison websites are a great user-friendly tool. They collate information for the consumer, saving hours of research and trawling the Internet for best prices and bargain offers. However, with the increase in popularity in price comparison websites there has been some concern that consumers may be influenced by price over substance. That is to say that if you buy goods, and particularly financial services, via a price comparison site, you may not always be purchasing exactly what you need. Online shopping can be fast and easy, but in some cases this speed and convenience with comparison websites can result in sloppy attention to detail. For instance, when purchasing car insurance, you may opt for the cheapest price with the best review. However, in reality you may only be buying car insurance that covers use for socialising, when in fact you commute 50 miles a day. You may also be buying ‘bundles’ - or communications deals (Internet, phone, TV). As a consumer you rely on the fact that any deals will be inclusive of everything you need, and the jumble of information is set out comprehensively. In other cases, you may be comparing goods. 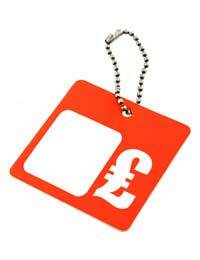 The cheapest price on offer will not always reflect quality. Some websites may even have ‘sponsored reviews’ – where customers are paid to give their opinion. As you can imagine, there are a number of ethical dilemmas associated with this practice. The trouble is that such large price comparison websites, and in turn the consumers that use them, have a large amount of influence on the consumer market. By using these websites, consumers are hoping to find quality assurance from other consumers. Consumers are enabling other consumers to make informed decisions, but the question is whether the information provided is reliable, monitored or accurate. The crux of this online shopping issue also lies with the online comparison calculators. OfCom is keen to ensure that consumers are provided with quality-assured price comparison services. They want online shoppers to have access to independent price comparison information via a transparent and easy to understand accreditation scheme. For this reason, OfCom launched their Accreditation Scheme for Price Comparison Calculators. Promote consumer awareness of accredited calculators and boost the value of accreditation. The bulk of the accreditation scheme will be aimed at online shopping price comparison sites that offer communications services, such as Internet, fixed and mobile telephone lines, digital television services, bundled packages and voice over IP. However, this is not fixed and the accreditation scheme may extend to price comparison calculators that review and compare other goods and services. OfCom aim to annually review each accredited price comparison calculator, initially subjecting the company in question to a 5-stage application process. The accreditation scheme binds the online shopping comparison website into a contract with OfCom, and successful applications can then display the accreditation logo and/or the statement “this calculator is accredited by Ofcom, the regulator for communications services in the UK”.